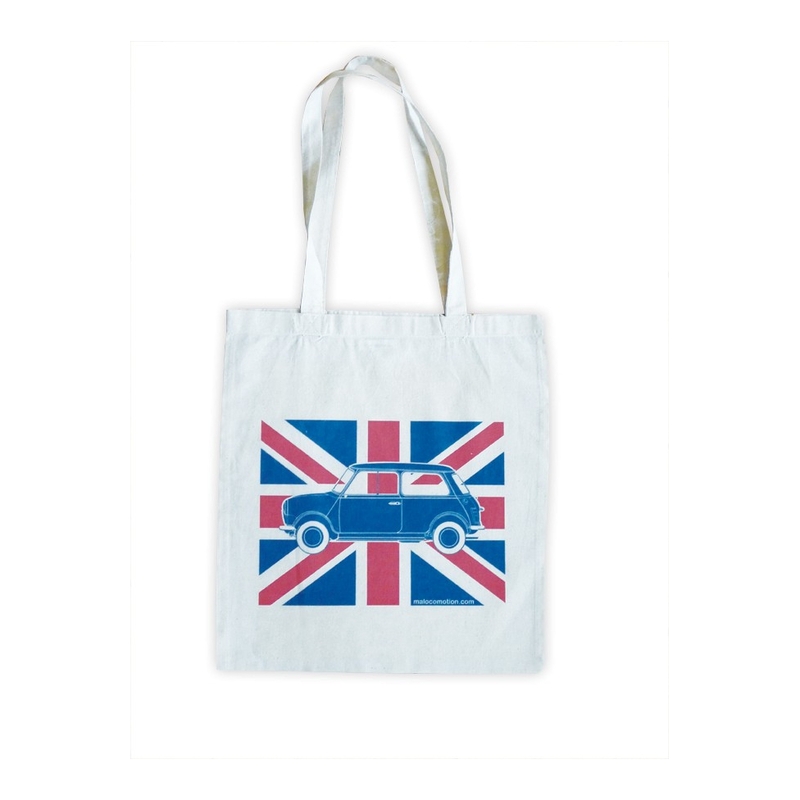 Ma Locomotion loves Britain, tea, cup cakes ... and British cars! 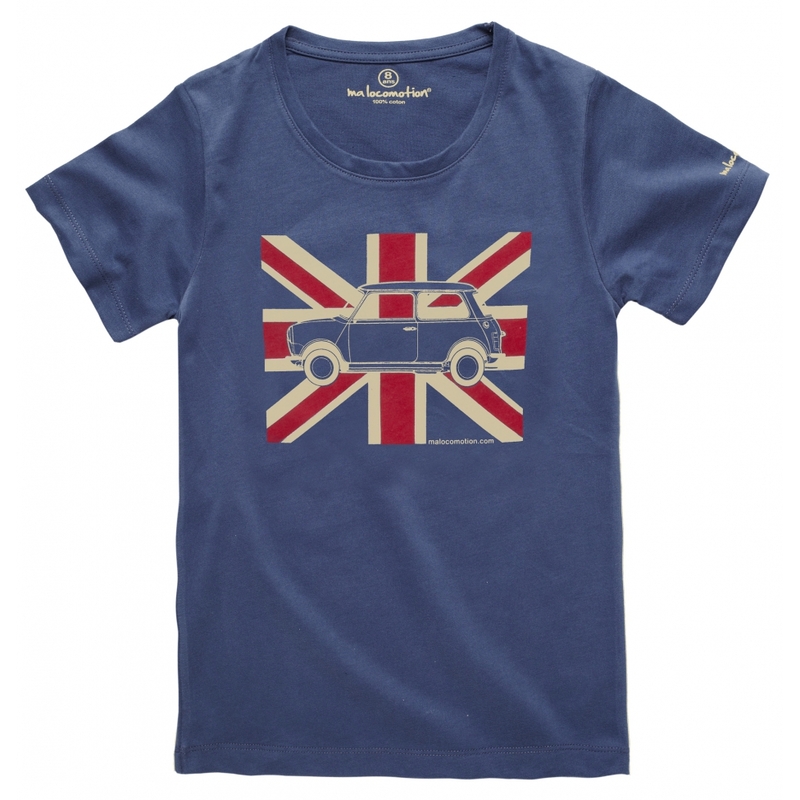 The vintage Austin Mini t-shirts from Ma Locomotion® are like the car itself: cool and original. 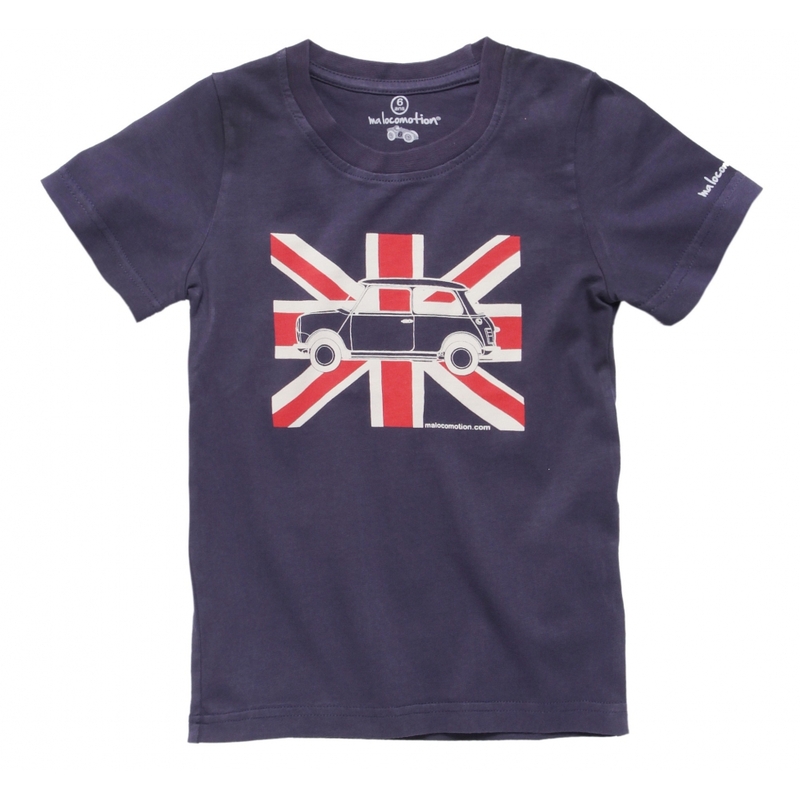 Together with the Union Jack, in a little rock'n'roll spirit that suits this car so well, this cool tee spices up every conventional kids outfit. These Union Jack t-shirts are made with pima cotton and printed with water-based ink. The iconic Austin Mini is proposed in a “rock” version associated with the British Flag, also known as the Union Jack.... Some people say that Purple is the coulour of all the best things : royalty or Cadburry's dairy milk... Now, this vintage t-shirt ! These Union Jack t-shirts are made with pima cotton. Long sleeves t-shirt. Navy. 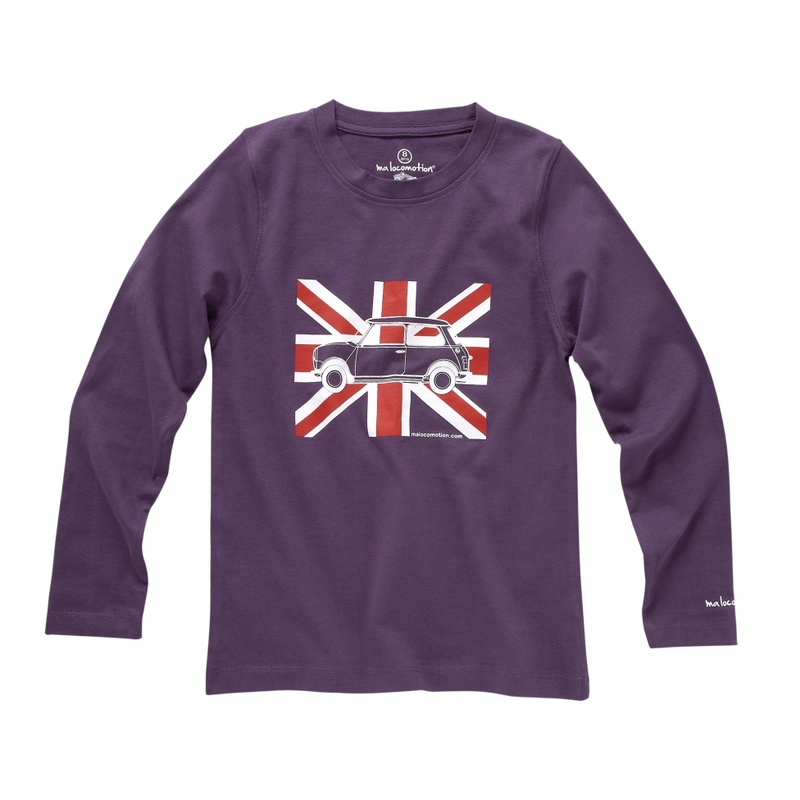 A crew top sweatshirt featuring the iconic Austin Mini on a Union Jack Backdrop for a fantastic look ! 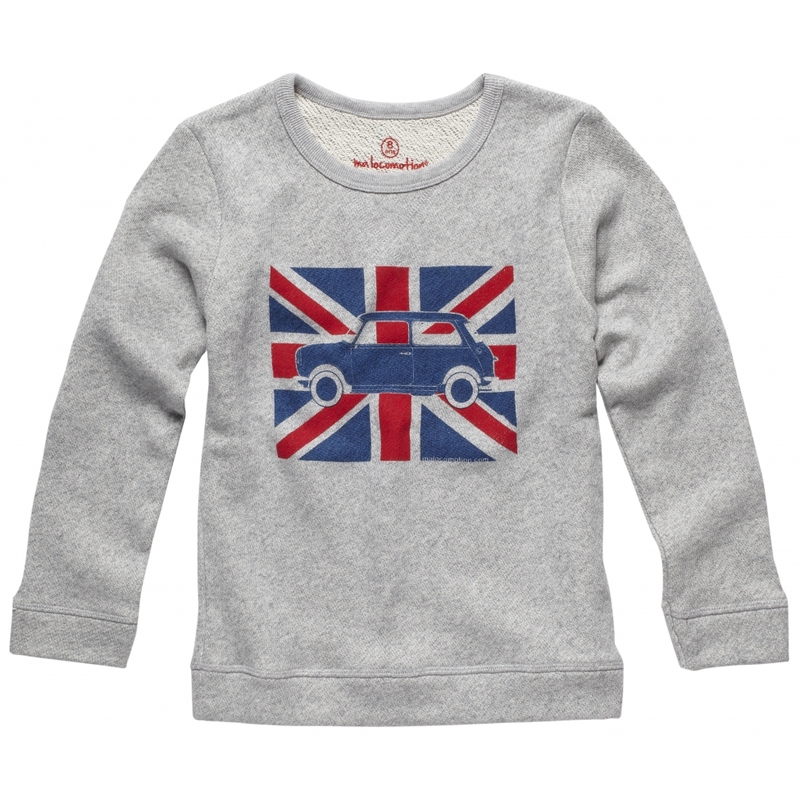 This Heather grey crew top sweathsirt is available from 2 to 12 years. 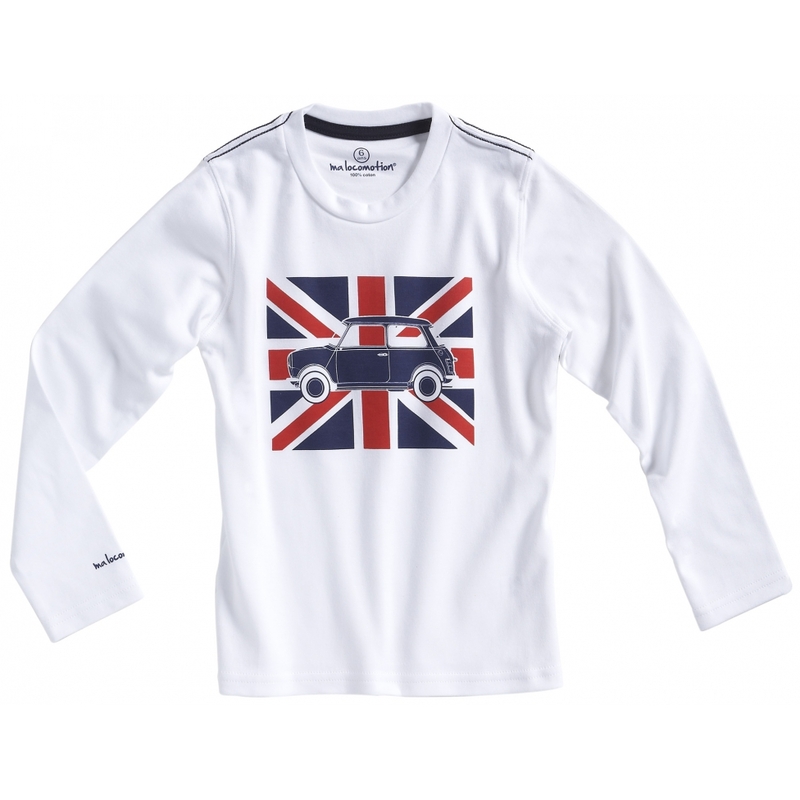 The Austin Mini Union Jack t-shirt is very soft to the touch. Available from size 2 to 12. London bus t-shirt Do you want to take a ticket for a journey ? 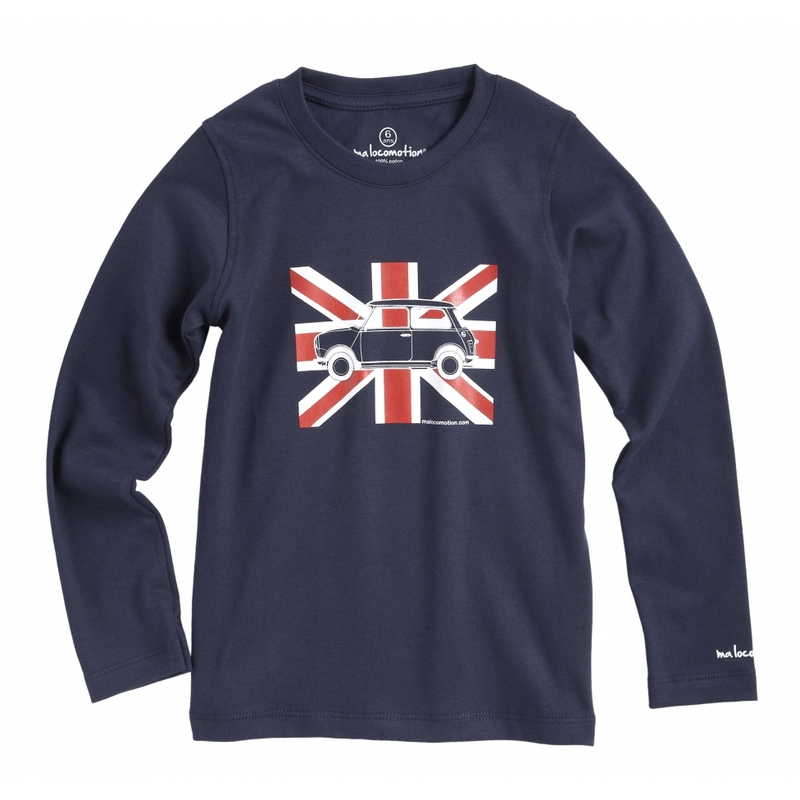 Our double decker London bus is printed with water based inks on a super soft 100% cotton t-shirt. The original London routemaster's shape has a nice tartan wrap. 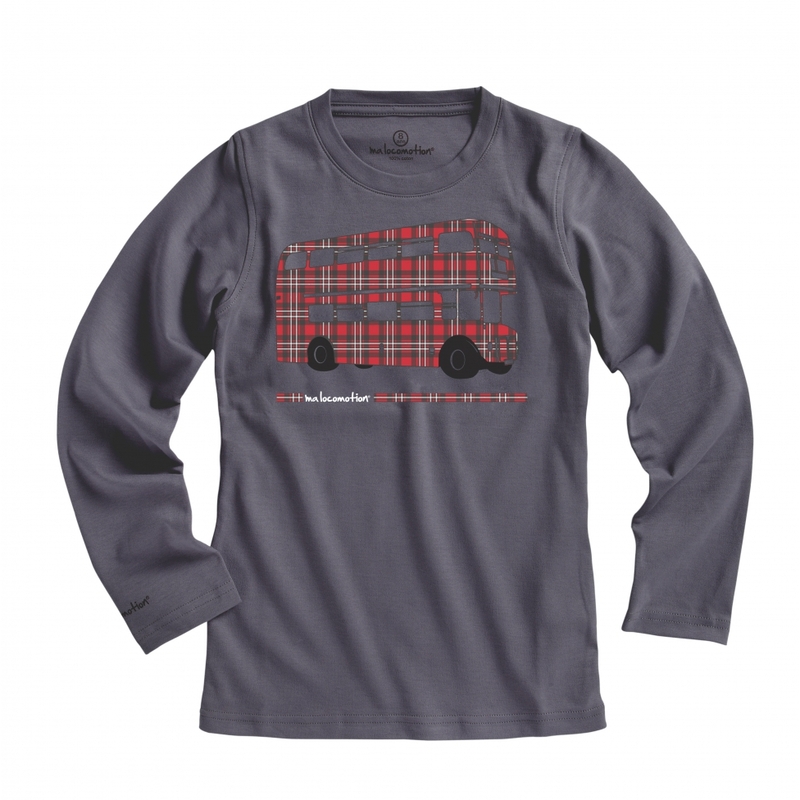 This London bus t-shirt is available from 2 to 12 years. This London vintage t-shirt is made from pima cotton, the highest quality cotton for the ultimate in softness and comfort. White colour. Printed with water-based inks. 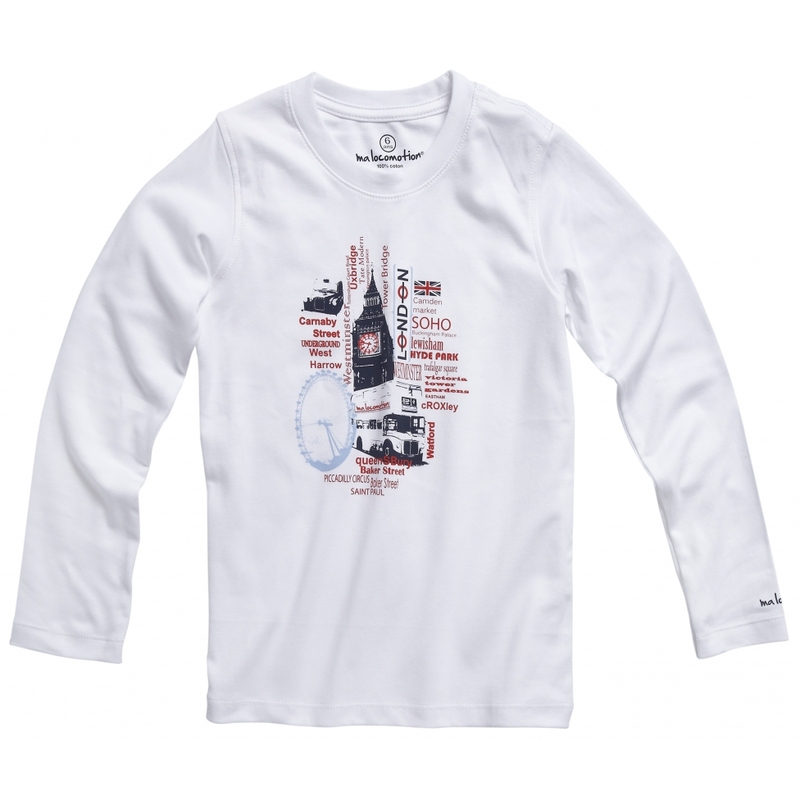 A fashionable t-shirt with London street scenes. 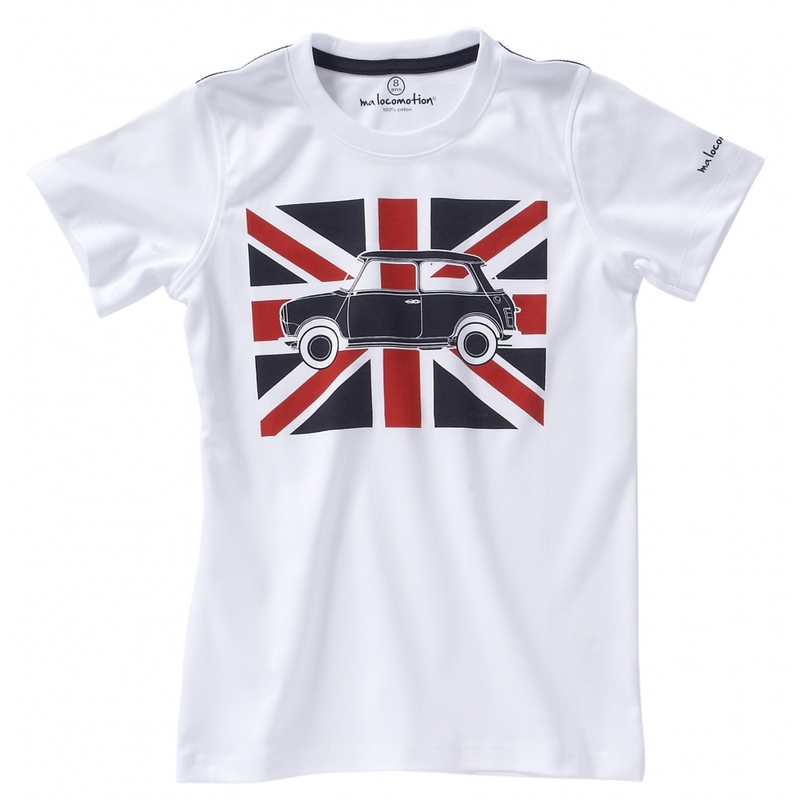 The Austin Mini Union Jack t-shirt has a peach skin touch effect. This new blue-grey colour will compliment every kid's wardrobe.